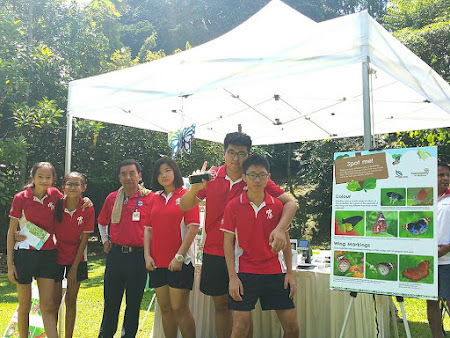 ButterflyCircle @ Festival of Biodiversity 2016! 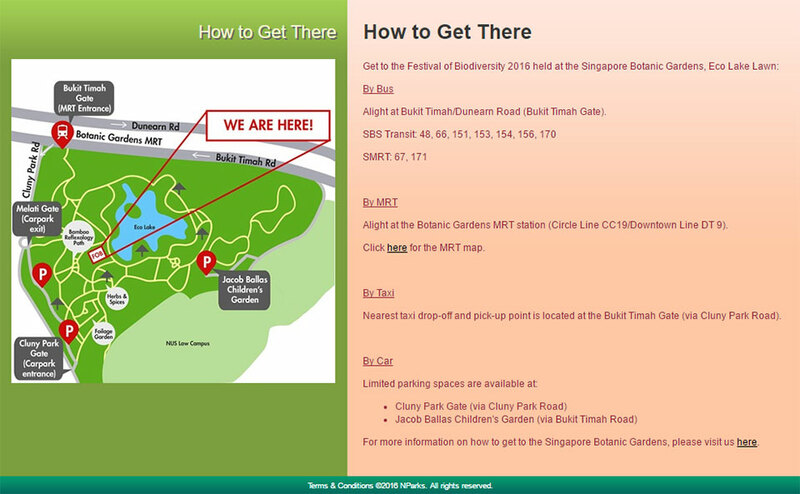 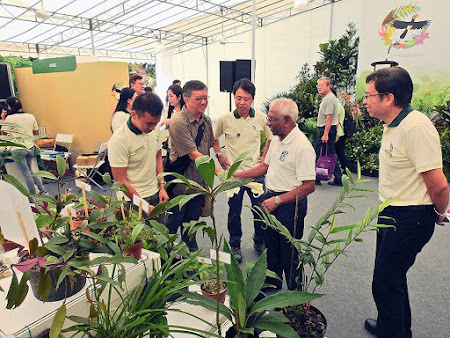 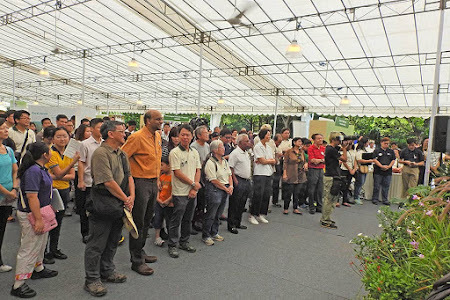 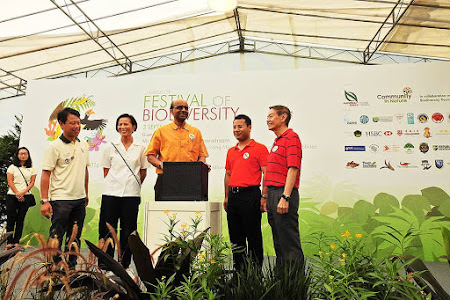 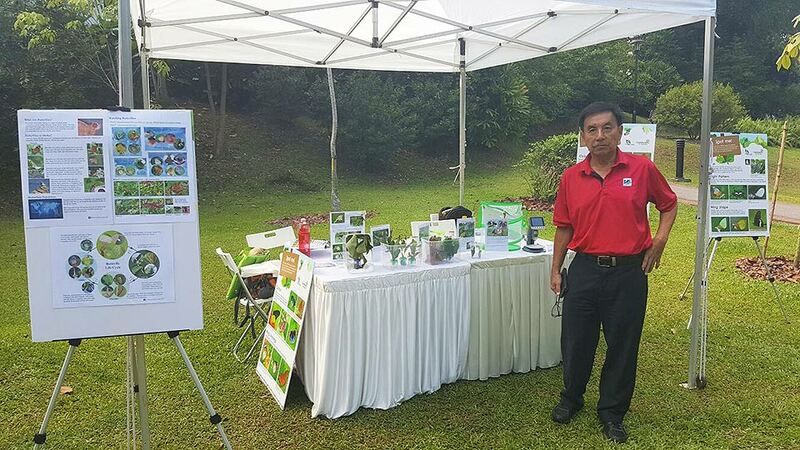 Now in its 5th instalment, the Festival of Biodiversity 2016 moved its venue back to the Singapore Botanic Gardens (where the first FOB was held back in 2012). Having been held at VivoCity Mall in the past three years from 2013-2015, the venue was changed back to SBG after negotiations to hold the FOB at another urban mall did not materialise. The Festival of Biodiversity is an annual event organised by the National Parks Board in collaboration with the Biodiversity Roundtable. 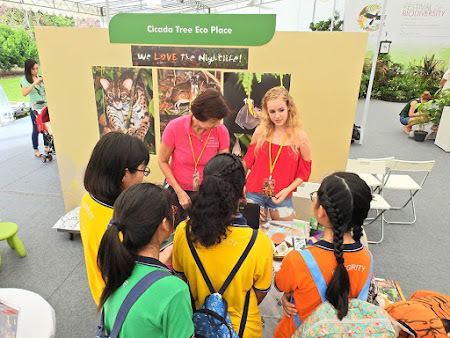 Initiated in 2012, the Festival aims to create awareness and foster a sense of appreciation for our natural heritage in Singapore, covering both terrestrial and marine environments. Since its initiation, the Festival has garnered the support of many biodiversity-related interest groups and Non-Governmental Organisations (NGOs). 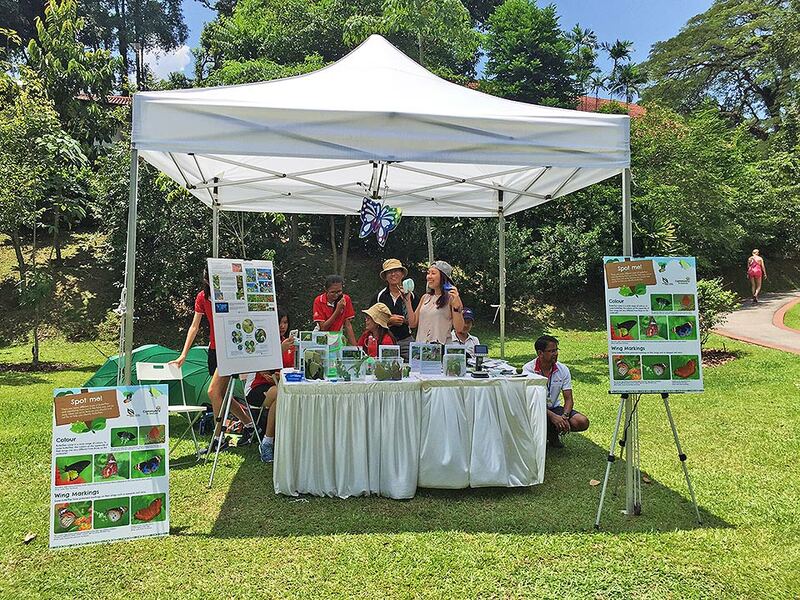 These groups play a crucial role in creating awareness about our island’s biodiversity and in promoting various conservation efforts. Nevertheless, it was good to be back at SBG, now a UNESCO World Heritage Site, where the FOB is back in a natural setting where biodiversity abounds. 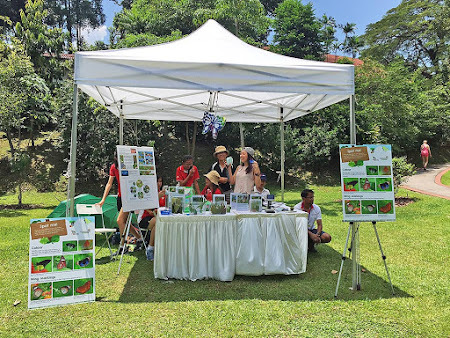 This year, ButterflyCircle took a break from its usual exhibition booth but helped to provide the material and set up a small station under the Amazing Biodiversity Race. The butterfly booth was one of the checkpoints where participants needed to play a "butterfly bingo" to spot butterfly species at SBG. This year, the Butterfly checkpoint was capably manned by Mr Foo and the members of Seletar Country Club butterfly group and many volunteers from Chung Cheng High School and HSBC. As with the FOB in 2015, the caterpillars of various species of butterflies that were put on display were a hit with visitors. 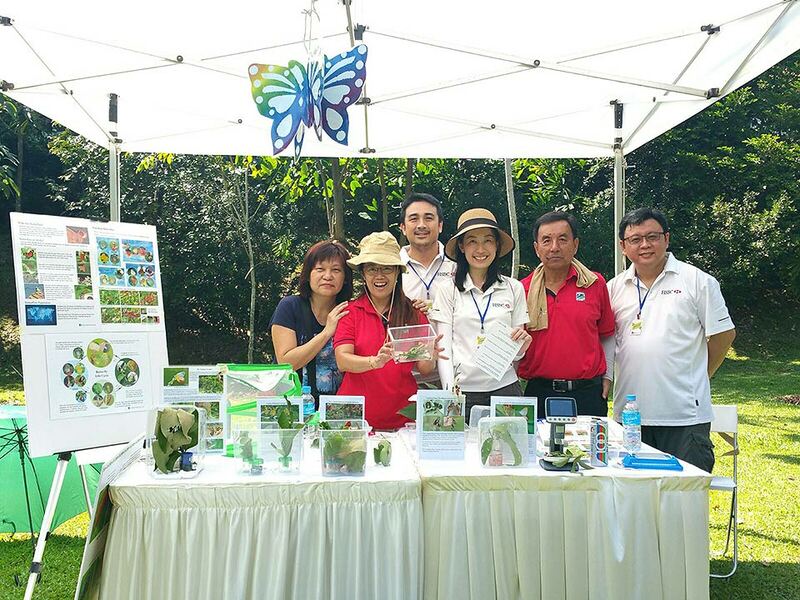 Participants who stopped by the small Butterfly Marquee at the Fragrant Garden marvelled at the variety of butterfly caterpillars. 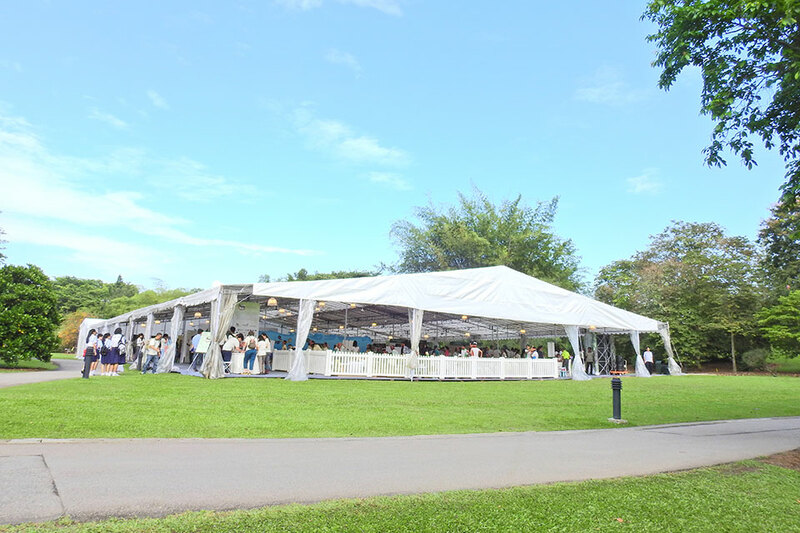 Meanwhile, at the main venue of FOB2016, participants were busy putting on the finishing touches on their respective booths under a big white tent set up for FOB. 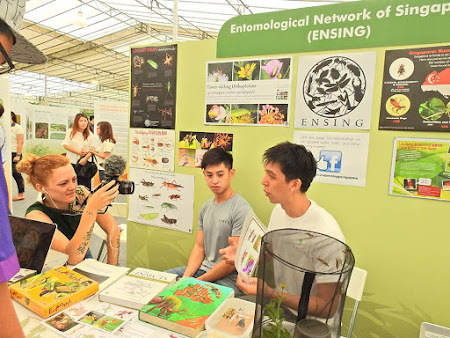 Amongst the regulars were ACRES, Lee Kong Chian Museum, Otterwatch, Pangolin Story, Herpetological Society, NSS and a more recently set-up group, ENSING (Entomological Network of Singapore). Like past FOBs, the children's activity stations were popular with families with kids in tow. 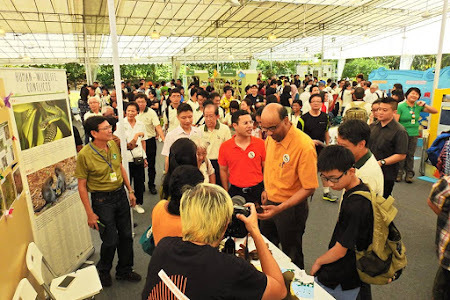 It was a hot and sunny Saturday morning as the crowd made its way to the FOB tent and I met many familiar faces and stalwarts of biodiversity conservation in Singapore. 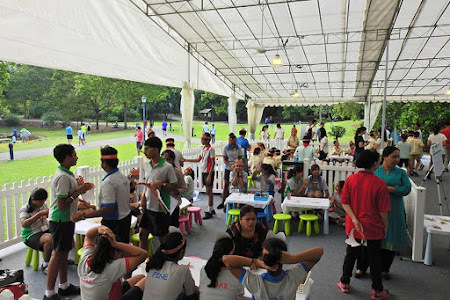 NParks' friends were busy making sure everyone was well taken care of. 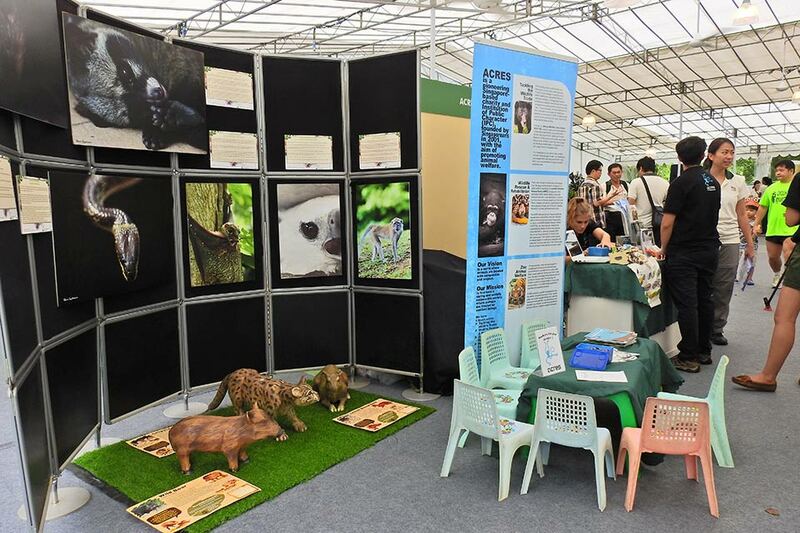 This year’s festival focused on the theme "Species Recovery Programme: Conserving our Species at Risk". 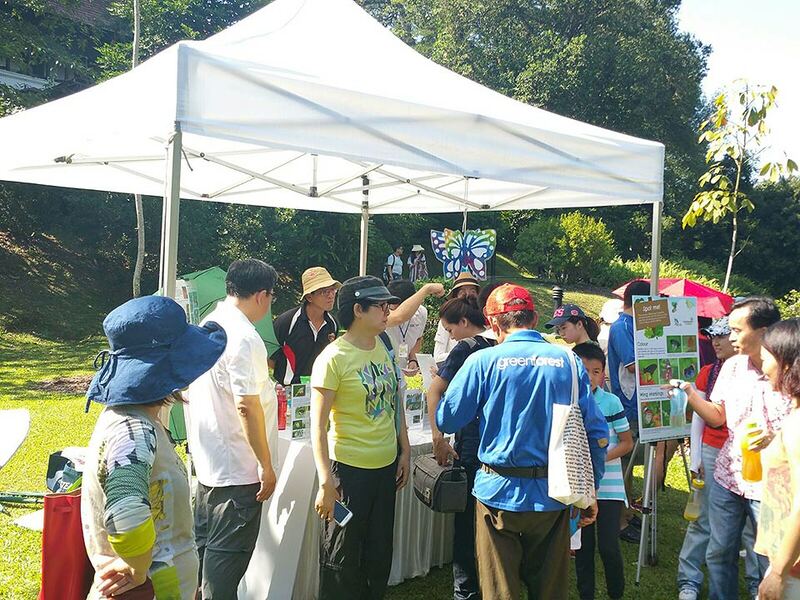 The festival hopes to reach out to more people, by showcasing the efforts of the NParks Board and the research community to enhance our native flora and fauna. 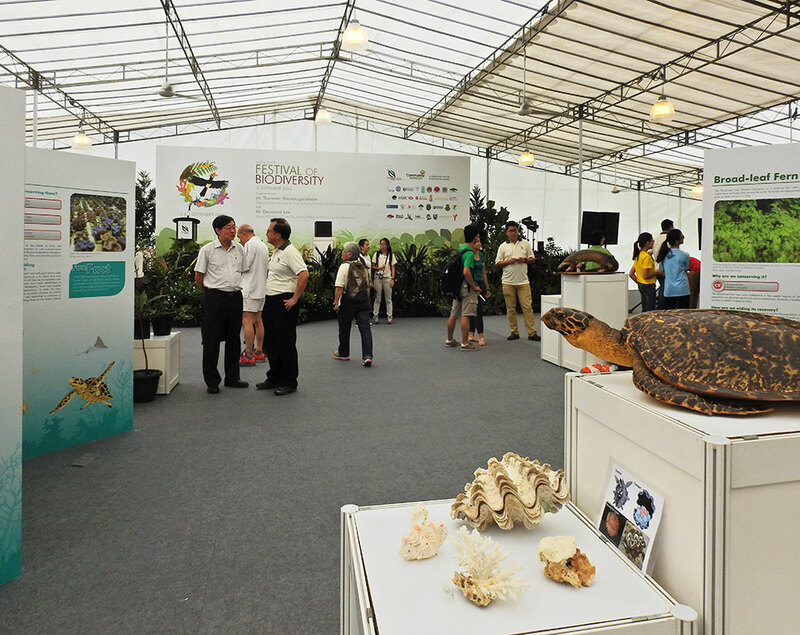 This is to secure the future of Singapore's endemic species and increase the population of critically endangered species. 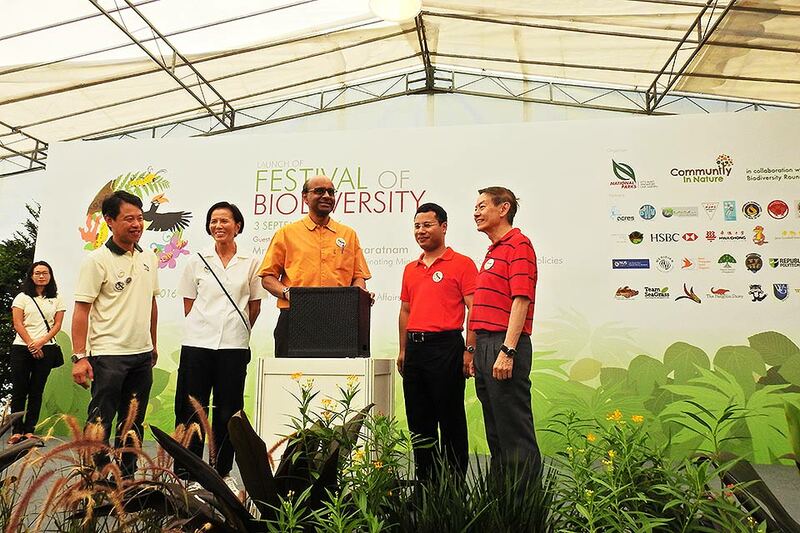 FOB2016 was hosted by Senior Minister of State, Mr Desmond Lee, and we were graced by the presence of our Deputy Prime Minister, Mr Tharman Shanmugaratnam, who officially launched FOB 2016. The National Parks Board has identified 46 species of native flora and fauna, all classified as threatened under Singapore’s Red Book Data, for species recovery programmes under the Nature Conservation Master Plan. 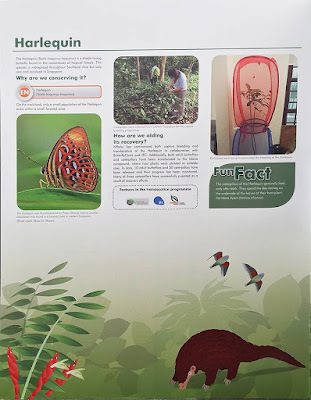 Amongst the ongoing species recovery programmes that commenced in 2014, one butterfly species, the Harlequin (Taxila haquinus haquinus) was selected earlier for a translocation effort. The very local site where the Harlequin can be found, is under threat by future development. 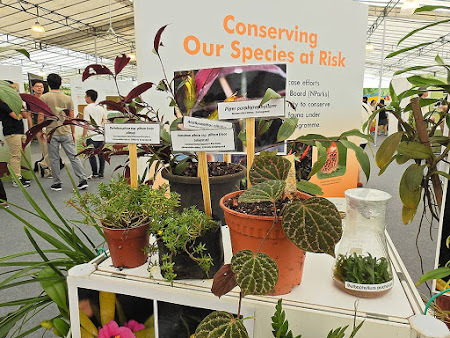 Hence, it is critical that the species can be given a helping hand to survive in Singapore. 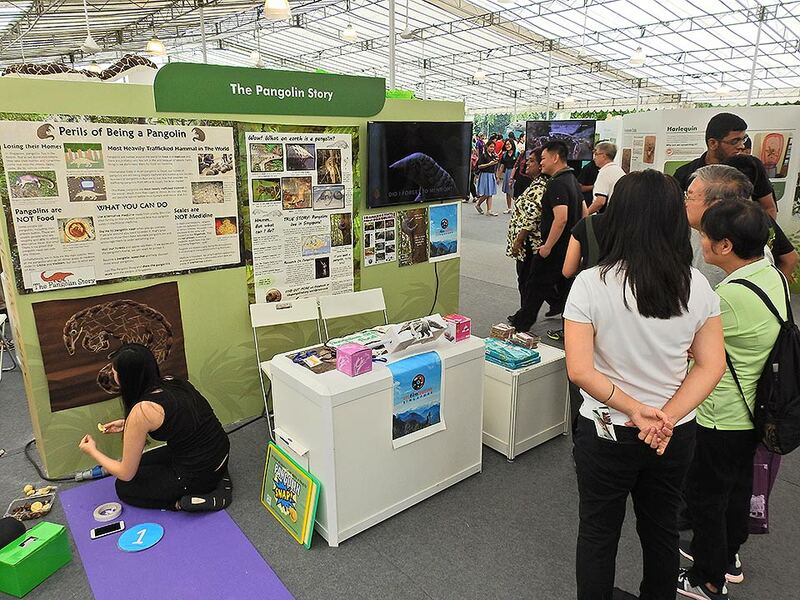 In NParks' media factsheet at FOB2016, it said "NParks has also been working with partner agencies on species recovery programmes for various animals. 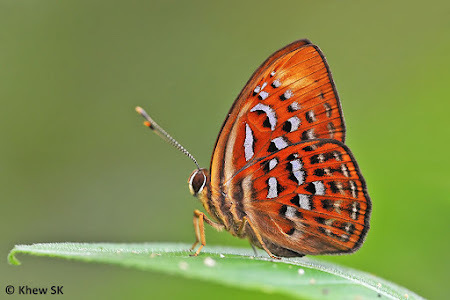 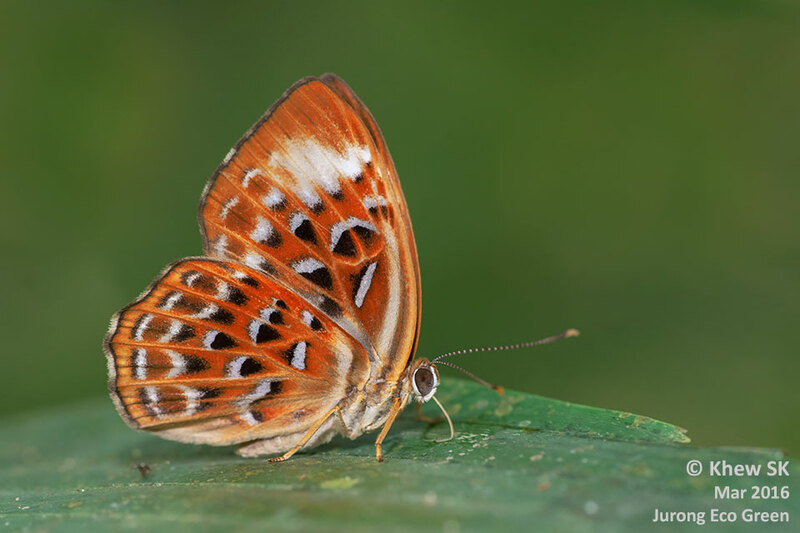 For example, JTC Corporation and ButterflyCircle, a group of butterfly enthusiasts, is implementing a breeding and translocation programme for the Harlequin butterfly (Taxila haquinus haquinus)." 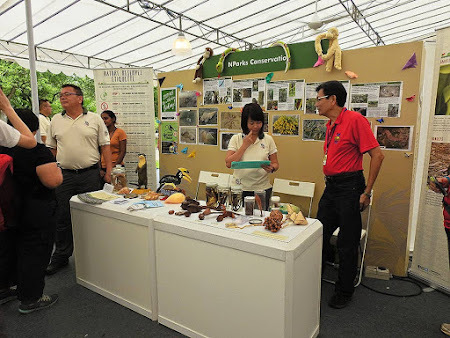 For those of you who are keen on learning more about Singapore's awesome biodiversity, or are game on volunteering with the various nature groups, do go down to SBG this weekend and find out more about the Festival of Biodiversity 2016! 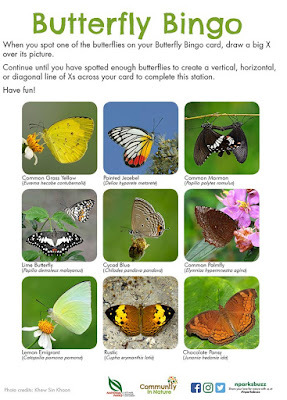 Text by Khew SK : Photos by Foo JL/Or Cheng Khim (and friends), Huang CJ and Khew SK. Wow, that looks like a fantastic event. 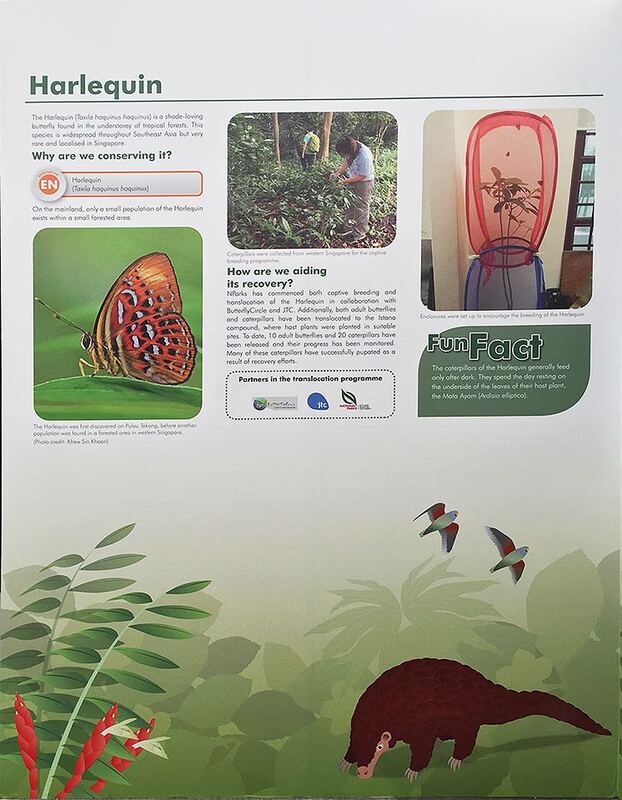 I would love to be able to visit it one day to learn about your fascinating biodiversity and the work that is being done to protect it. 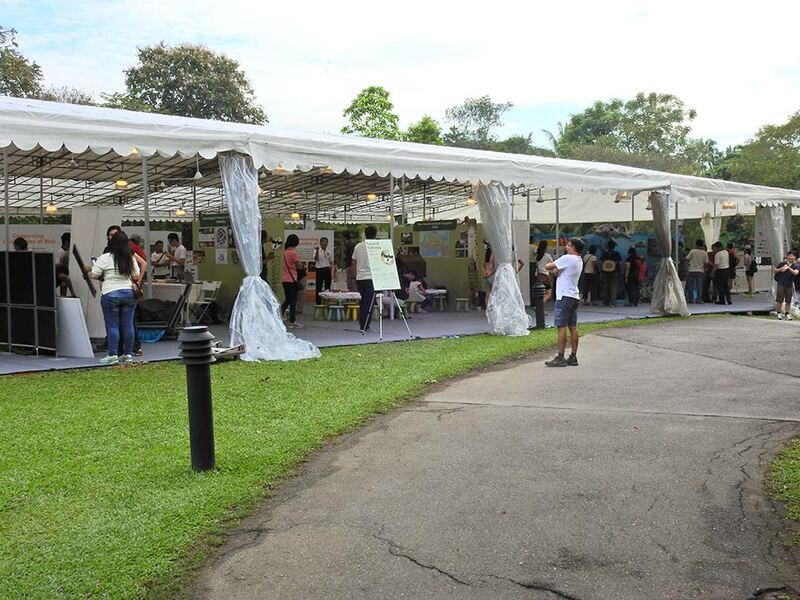 Well done for everyone's hard work putting on such a show.